Students from the Alamo Colleges are participating in a program that is helping young adults develop character, good citizenship and leadership skills. 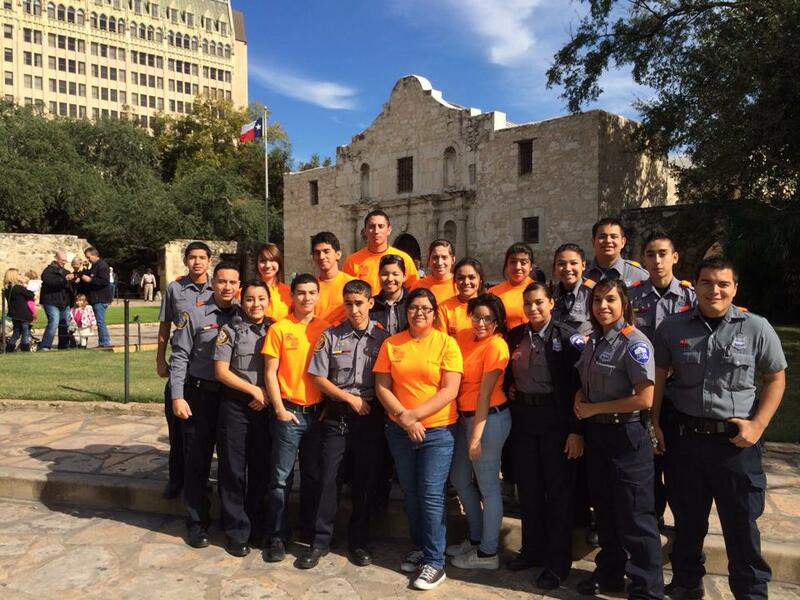 The SAPD Explorer program is a gateway to a career in law enforcement. It is sponsored by the San Antonio Police Department and the Boy Scouts of America. The program is for males and females between the ages of 14-20 who are interested in law enforcement. Some Explorers are currently attending Palo Alto, majoring in Criminal Justice or related fields. These Explorers volunteer in a wide variety of community service activities. They’re also introduced to the training and experience of what SAPD cadets and police officers receive. In order to become an Explorer, a student must be in good health, pass a background check, pass a physical test and complete the basic Explorer training. Motivation is a huge requirement to complete this process. “We’re looking for honest people who really want to be there and are doing it for the right reasons,” said Diana Gosse, a student at Palo Alto, who is a former Explorer and now an adviser for the program. SAPD Explorer posts are chartered at six different substations around the city: North, Northwest, South, West, East and Central. Each post is in memory of an SAPD Officer who has passed away. Officer Scott Hermes is the chief coordinator of the South Side Explorer program. About twice a year he comes to the PAC campus to recruit potential Explorers. Several SAPD officers are former Explorers themselves. They help teach and mentor Explorers as they learn SAPD’s procedures, techniques and tactics. Additionally, Explorers can even be trained to attend police Explorer competitions that are hosted nationwide. A majority of the students who are a part of the program are looking forward to becoming a part of the SAPD and serving our community in the near future. “We helped these young adults who were really shy at first come out of their shells; we help make them feel more confident about themselves, as well as more physically and mentally fit,” said Gosse. These Explorers learn the compassion within SAPD’s police officers by witnessing their daily struggles to protect the community. “Growing up on the South Side, I always thought police were the bad people, but when I joined the program, I saw police in a different light. I witnessed how humanized the badge really is,” said Zachary Moya, a former Palo Alto student who has been an Explorer for four years. The program promises to enhance a student’s education and participation for their future roles as citizens, community members, leaders and future law enforcement officers. “The program is for phenomenal people. You just have to have a heart to help the people of our community,” Zachary said. For more information, visit the Explorer website at www.sapdexplorers.com.